Elliottwave-Forecast is prided in clear, actionable, up-to-date forecasting services. We strive to educate and direct our Subscribers using our knowledge of a very specific set of analytical tools and methodology (EWP & Inter-market correlations) Our analysts provide clear timely updated communication and guidance so our Subscribers are never “left in the dark” when risking their precious capital. Our approach is extremely conservative in nature. We view a life dedicated to trading the market as a marathon not a sprint. Still not convinced, sign up for 14 day Trial and see for yourself. 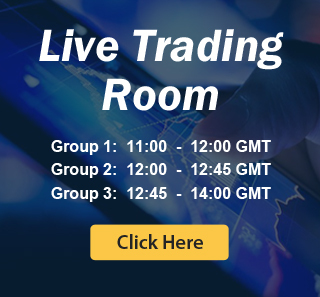 We provide Trading Signals in Live Trading Room. In addition, we provide trades with Entry, Invalidation and Target levels highlighted on the charts which can be found in Trade Setups section. Do you cover Forex Crosses? Do you cover Yen Pairs? We will be adding more instruments to the service in the future for which a separate subscription may be required. At this stage, we don’t plan to include any more Forex pairs and would rather focus on Commodities, Bonds and Indices. We have a lot of Educational Videos in members area. Advanced Applications of Elliott Wave Principle recording (duration 18 hour) will enhance your understanding of Elliott Wave Theory and how we use it in our analysis. It costs $249.99 for non-members and $199.99 for members Elliott Wave Cycles & Sequence of waves (duration approximately 5 hours) will enhance your understanding of swing sequence of waves and improve your analysis / trading skills. It costs $99.99 and is only available to members. Trial Plan gives you access to our Premium Plus Plan for 14 days. How can I cancel my Trial if I paid with a credit card? Please send your cancellation request to support@elliottwave-forecast.com/ with your user ID. Please allow 1 full working day for your request to be processed. I am a Standard Subscriber but I want access to 4 Hour Charts too. How can I do this? If you don’t wish to upgrade to Premium or Premium Plus plan, you have the option to Add-on different products like 4 Hour Charts, Technical Videos, Live Session etc to your subscription. Full details are available on the Products Page.